Dr.habil. Dr. Seronei arap Chelulei Cheison: Ripple is blowing the roof on its way up! In one of those days that you can call "a very good day", or as we say in Nandi "ya kaa ekta kieet goorgo", Ripple has been blowing the roof at eToro. Already, by market capitalisation, it overtook Ethereum to place second behind Bitcoin. 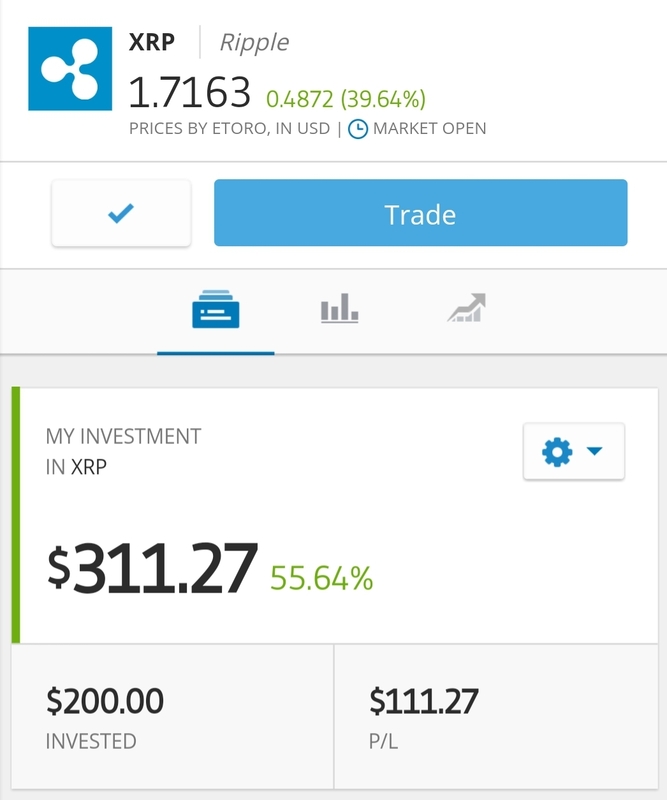 Over Christmas, I invested some 200$. A short while ago, this is what I saw at eToro on my investment.